I decided to take part in a neat local photo competition hosted by Eestimaa Kaunid Fotod (Beautiful Pictures of Estonia). 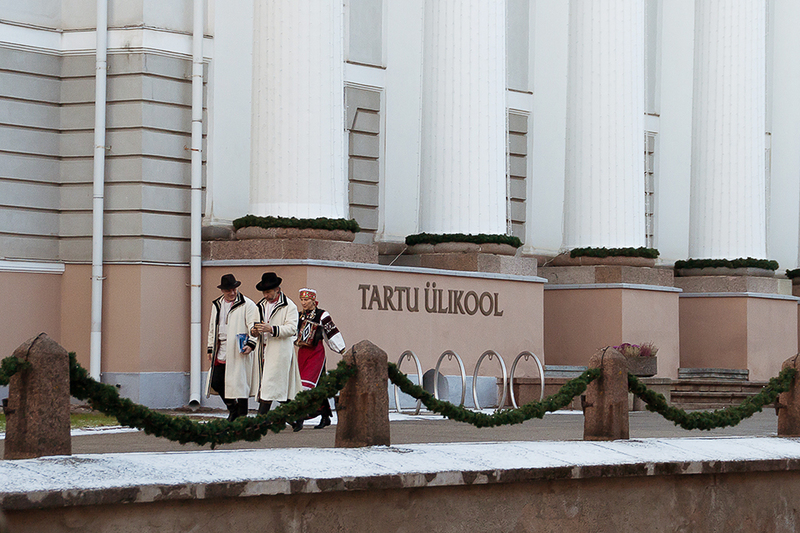 The gist of it is that the organisers will announce a prompt and the participants will have to take a new picture in the given timeframe anywhere in Estonia that fits the topic. I don’t expect to win any awards but I really like the challenging aspect of the competition, so I decided to take part. And as this blog has been in hibernation for far too long, I shall post all of the images here as well. The first topic was “a local sight”. 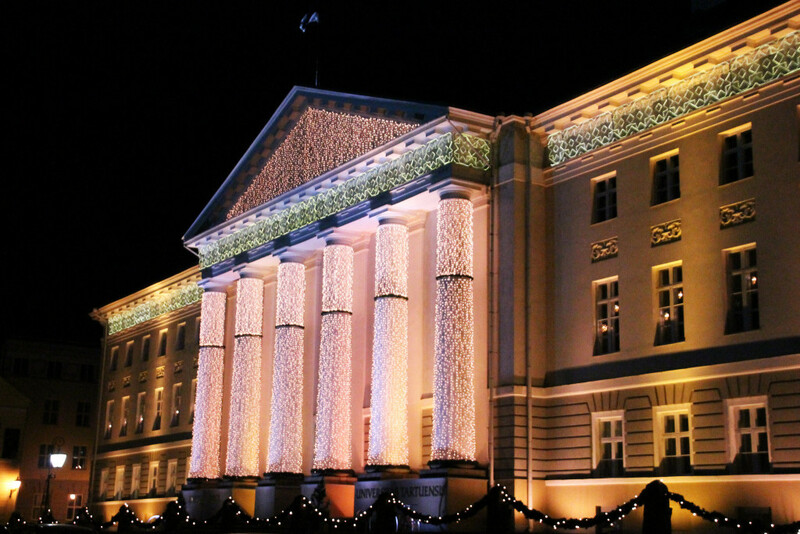 I had a few ideas, taking a picture of the main building of the University of Tartu was not one of them, because the theme is too “overexposed” in my opinion, although there is no doubt it is a very grandiose construction, especially in its Christmas “outfit”. But as I was walking past it, I saw three people in traditional attire and quickly took the shot. Can’t say it’s one of my best, but I felt it was good enough to submit.